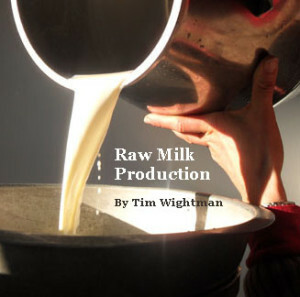 Are you interested in learning more about the local food movement and raw milk? Here you will find useful resources for both farmers and consumers. 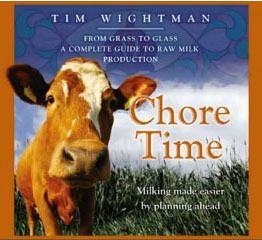 Check out Tim Wightman’s educational micro-dairy farm DVD, Chore Time: Milking Made Easier by Planning Ahead. Filmed on location at a working milk parlor, this tutorial is a useful guide to those interested in the best practices in raw milk production. This video is provided free of charge. Click below to view Parts 1 and 2. 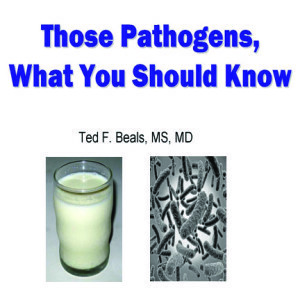 Ted Beals, a Pathologist, Health Educator and a Board Member of the Farm-to-Consumer Foundation, was one of the presenters at the 2011 International Raw Milk Symposium. Beal’s presentation, Those Pathogens, What You Should Know, provides an informative overview of potential food safety risks. An easy, informative and interesting read, the Raw Milk Production Handbook covers the wide range of essentials to safe raw milk production. Tim Wightman is a farmer, consultant and one of the first cow-share operators in the USA. Meat and Dairy: Where Have the Minerals Gone? is an article from Food Magazine that takes a look at the effects of modern farming on the quality of our food supply.